New York, 1990. 28 x 41 cm, 3 parts: xiv, 15 pp. Beautiful 2-color halftone of the autograph “solo” parts (vln I, vln II & cembalo), Mus. 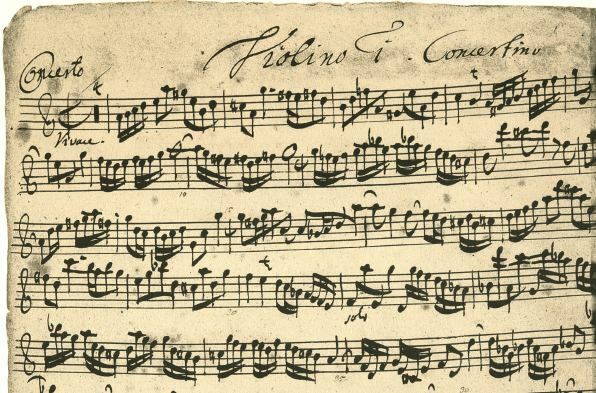 ms. Bach St 148, formerly in the possession of the Preußische Staatsbibliothek in Berlin (the “tutti” non-autograph parts of the concerto are not reproduced in this edition). 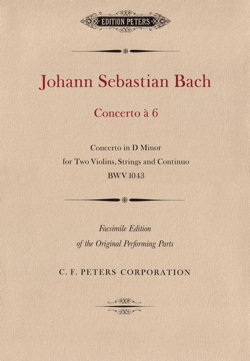 The continuo part is in the hand of C.P.E. Bach and an unknown Leipzig copyist. Reveals a number of instructive details including clearly marked cues for the solo and tutti sections, and interesting dynamic and articulation markings. Portfolio in heavy textured paper, with pocket for music. Edition of 1100 copies printed by Stinehour Press in Vermont.